Set on opposite sides of the Atlantic, John Crowley’s “Brooklyn” tells the story of Eilis Lacey, a young Irish immigrant exploring 1950s Brooklyn. Enticed by the bright promise of America, Eilis leaves Ireland and her mother’s home for New York City. Her homesickness vanishes as an intoxicating new romance draws Eilis in. However, her newfound independence is fleeting, when her past rears its head and Eilis must choose between two countries and the lives she has built in each of them. 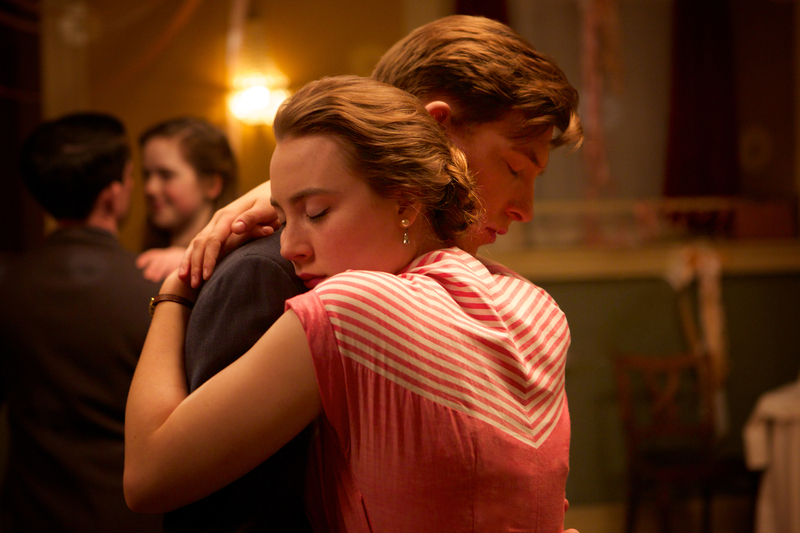 Based on Colm Toibin’s renowned novel, director Crowley and writer Nick Hornby craft a compelling, epic romance. The lavish filmmaking illustrates a rapidly progressing world. Surrounded by a terrific cast of supporting characters, Saoirse Ronan is captivating in the role of Eilis. This consummate film tells a timeless tale of leaving home for new horizons, and the decisions one must make in choosing between past and future. It’s about a young woman who emigrates to the US from Ireland in the 50’s. She then has to return home because of a personal tragedy and is faced with a near impossible choice about her future. It’s based on the novel of the same name by Colm Toibin. How a girl turns into a young woman who gradually takes control over her own life. It’s also about the nature of exile – the split that happens when you don’t belong to your adopted homeland but you no longer quite belong where you came from either. I started directing plays at University while studying Philosophy in Cork. I then continued directing professionally in Dublin at the Abbey and Gate theatres before moving to London where I spent a number of years as an Associate Director of the Donmar Warehouse. My first feature film was Intermission which I followed with Boy A, Is Anybody There? and Closed Circuit. Recreating 1950s Brooklyn in Montreal and recreating 1950s Ireland in post Celtic-Tiger Ireland. Also making the absolute most of our two days shooting in Brooklyn and Coney Island. I’ve never been before so not entirely sure what to expect, but I hope they’ll be moved and surprised by the film. And that there’ll be lively conversations about the choice the central character makes! I’m due to revive my production of a play called The Pillowman by Martin McDonagh which I previously Directed at The National Theatre in London and on Broadway. Then I’m Directing a play called The Present for Sydney Theatre Company featuring Cate Blanchett. It’s an updated version of Chekhov’s first play ‘Platonov’. It was a co production between a large number of financing bodies in the UK, Ireland and Canada.